Shi Feng’s Silent Steps allowed him to move behind a target within a 40 yard distance. Although it was not as convenient as an Elementalist’s Blink and had a longer Cooldown, its range was much farther than Blink. Moreover, there were no activation gestures required for the skill. The skill could be activated wordlessly, making it extremely hard to discover. Unstable Devastation abruptly shouted when he observed his surroundings, suddenly discovering Shi Feng behind their healers. Although the healers heard Unstable Devastation yelling, they still turned their heads to look at him. They had no idea what Unstable Devastation was trying to say. Why did they need to run? Naturally, Shi Feng would not give them any chances. To save time, he did not even use a skill. Instead, he instantly created twelve sword images, instant-killing the four defenseless healers. Unstable Devastation was truly furious now. With all their healers dead, they would definitely have to pay an extremely high price to deal with the Shadow Leopard King. There was even a possibility of them team-wiping, and the main culprit of this was Ye Feng. In the blink of an eye, Unstable Devastation retrieved five pitch-black arrows from his bag. He aimed and shot all of them at Shi Feng in succession. The five arrows almost instantly pierced Shi Feng’s vital points; they blocked Shi Feng’s path. “You guys enjoy yourselves! I’ll leave first!” After killing all of the healers, Shi Feng revealed a faint smile at the arrows flying towards him. He dared not stay any longer. If he were hit with the restricting skills of other cla.s.ses, he would definitely end tragically. It would be better for him to depart now and observe the tigers battle each other. Hence, Shi Feng activated Windwalk, leaving behind an afterimage as he disappeared towards the forest. In the end, the five arrows only sliced through the afterimage Shi Feng left behind. Although the players from Martial Union tried to chase after Shi Feng, his speed was just too fast for them. After he entered the forest, they could no longer find any trace of him. “Abominable…!” Watching Shi Feng escape, Unstable Devastation’s expression turned indignant, his fists tightening. “Boss Unstable, are we still giving chase?” an a.s.sa.s.sin carefully asked. With all their healers dead, if they were to simultaneously search for Shi Feng while they battled the Shadow Leopard King, there would only be one ending for them: a complete team-wipe. That would even allow Shi Feng to reap the benefits. Just the battle prowess Shi Feng displayed was enough to give Unstable Devastation a headache. If he sent only a single party to chase Shi Feng, it would be no different than serving them up on a silver platter. Without a full team, they would have no way of dealing with Shi Feng. Moreover, if Shi Feng used that extraordinary speed of his to engage in a getaway battle, a single team would not be enough to deal with him. If they rushed into the forest to chase after Shi Feng, he would simply pick them off, one by one, while they would be completely helpless. “Everyone, retreat! Don’t bother with the Shadow Leopard King anymore, and prepare for an ambush by Ye Feng! Notify the other teams, and tell them to gather here immediately. If he thinks he can take advantage of me, he should think again!” Unstable Devastation said in a calm tone. He suppressed his anger, calming his excited heart. The Shadow Leopard King still had 20% of its HP remaining, and they would need to throw away a lot of lives to kill it. Although it was unfortunate to give up on the Shadow Leopard King, Unstable Devastation did not believe that Shi Feng would not return to take advantage of the injured. Not only could he get rid of them this way, but he could also obtain the loot from the Shadow Leopard King. Killing two birds with one stone, who wouldn’t go for such a good deal? Thinking up to this point, Unstable Devastation decided to give up on the Shadow Leopard King. Instead of letting Shi Feng gain an advantage, he would rather give up. That way, neither side would gain anything. Right now, the Shadow Leopard King still had 20% of its HP remaining. Even if Shi Feng wanted to kill it, it would be impossible. If he tried, they might benefit from it. Not only would they get to kill Ye Feng, but Ye Feng would also have reduced the Shadow Leopard King’s HP even further. If Shi Feng did not intend to deal with the Shadow Leopard King, that, too, would be fine. As long as their other forces arrive, the Shadow Leopard King would still belong to Martial Union. At that time, Shi Feng could only watch from the side. With Unstable Devastation’s command, the members of Martial Union could only helplessly retreat, giving up a good chance to kill the Shadow Leopard King. However, before the players from Martial Union could properly retreat, the Shadow Leopard King suddenly let out a fierce roar. It summoned forth two Elite Shadow Leopards once more to chase after them. As Martial Union’s players retreated and the Shadow Leopards pursued them,, they discovered a peculiar matter. The Shadow Leopard King did not seem to intend to give up the chase whatsoever. It had killed many other players, and even decimated most of a Shield Warrior’s HP. “Boss Unstable, the Shadow Leopard King is faster than us, and it is still chasing after us. If this continues, it will wipe us out sooner or later. What do we do now?” an Elementalist beside Unstable Devastation asked worriedly. “I can see that! I don’t need you to remind me!” Unstable Devastation said in a huff. Unstable Devastation suffered a ma.s.sive headache over the incessant pursuit by the Shadow Leopard King. If he had known earlier, he would have chosen to kill the Shadow Leopard King instead. He truly did not think that this Shadow Leopard King would bear a grudge, refusing to give up. They could not escape even if they wanted to now. Moreover, more members were dying in the chase than in the fight. “Notify the other teams to hurry. We’ll delay the Shadow Leopard King while we move toward the meeting point, and look out for ambushes.” Helpless about the situation, Unstable Devastation could only think of this plan. Meanwhile, hidden within the forest, Shi Feng witnessed this scene with perfect clarity. Although Unstable Devastation’s decision was an intelligent one, he could not outdo Shi Feng. Shi Feng had long since known that the Shadow Leopard King would ceaselessly chase after Martial Union. Otherwise, he would not have chosen to depart. He was merely awaiting the perfect chance to take action. After G.o.d’s Domain evolved, the range of monsters’ activity had also greatly increased. For Chieftain ranked monsters such as the Shadow Leopard King, its range of activity might even encompa.s.s a large half of the entire Gale Valley. Unless everyone from Martial Union left the Gale Valley, or they entered the core area of the Gale Valley, the Shadow Leopard King would not let them get away. As time slowly pa.s.sed, the number of players the Shadow Leopard King killed grew higher and higher. However, it only had 10% HP remaining now. Meanwhile, Martial Union’s previous 50-man team had only 16 players remaining. One could not help but admit that the losses they suffered were incomparably bitter. Unstable Devastation paid attention to the surrounding movements as he attacked the Shadow Leopard King, his heart filled with wariness for Shi Feng’s ambush. Now that the Shadow Leopard King had less than 10% HP remaining, it was definitely an opportune time for Shi Feng to launch an ambush. Hence, Unstable Devastation’s expression turned exceptionally grave. Unstable Devastation cursed. This was a crucial moment. The Shadow Leopard King in front of them was about to die, and Shi Feng would appear at any given moment. If they waited for another ten minutes, the Shadow Leopard King would already be dead. He truly regretted not bringing more players with him. Now, Shi Feng, who was hiding in a dark corner, possessed the advantage of initiative, while they were completely helpless against him. It was truly depressing. After a period, the Shadow Leopard King’s HP fell below 2%. However, there were still no signs of Shi Feng’s a.s.sault, causing Unstable Devastation to become incomparably excited. “Everyone surround the Shadow Leopard King and focus all firepower on it! It is about to die, so look out for Ye Feng!” Unstable Devastation said with a loud laugh. If Shi Feng had appeared some time earlier, there was an 80% chance of them team-wiping. Now that the Shadow Leopard King was about to die, however, even if Shi Feng dared to show himself, Unstable Devastation was confident at holding him at bay, allowing his teammates to kill the Shadow Leopard King. Finally, the Shadow Leopard King’s HP fell below 200 points. As long as Martial Union sent two more rounds of attacks at it, they would kill the Shadow Leopard King. Unstable Devastation used Power Shot. He had long since acc.u.mulated his Power to the maximum amount, and a single arrow could deal over -100 damage to the Shadow Leopard King. The arrow whistled through the air, flying towards the Shadow Leopard King’s weak point. At this moment, Shi Feng suddenly appeared, without a sound, behind the Shadow Leopard King. He sent a Chop slashing down on the monster, causing -332 damage, killing the Shadow Leopard King. Meanwhile, Unstable Devastation’s arrow merely shot the Shadow Leopard King’s corpse. In G.o.d’s Domain, if players of a different party or team dealt with the same monster, the player who delivered the final strike would obtain 60% of the monster’s EXP. Due to the Shadow Leopard King being a Level 8 Chieftain, the EXP it gave was extremely bountiful. Within an instant, Shi Feng’s experience bar greatly rose. Meanwhile, the dozen or so players only shared the remaining 40% EXP amongst themselves. Immediately after the Shadow Leopard King died, it dropped a large pile of items. There were over ten items, and it was one of the rarely seen mammoth drops. “Get rid of him!” Unstable Devastation bellowed, his eyes bulging. 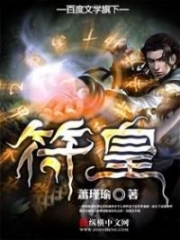 Immediately, more than a dozen players surrounded Shi Feng, giving him no chances to escape. Each and every one of them used their restricting skills on Shi Feng. Shi Feng paid no attention to them as he activated Defensive Blade. He then frantically picked up the drops. Streaks of magic struck Shi Feng’s body, one after another, but they were all blocked by Defensive Blade. In the blink of an eye, Shi Feng had picked up nine pieces of the loot. Among them was even an item that gave off a dazzling black glow. A single look and one could immediately tell that the item was nothing ordinary. It was definitely priceless. Seeing that the charges of the Defensive Blade were about to run out completely, he immediately swapped places with his doppelganger located deep within the forest. He instantly escaped from Martial Union’s encirclement, while his doppelganger received attacks from all directions. Until the moment the doppelganger died, it managed to kill another five members of Martial Union, including a Level 9 Elementalist branch leader. When Unstable Devastation discovered that the Shi Feng they killed was only a doppelganger, he truly exploded. Unstable Devastation’s bellow resounded throughout the forest. He had spent so much effort and had lost so much. Yet, in the end, all he did was pave the way for Shi Feng. Even if Unstable Devastation wanted to calm down, he could not. He swore that he would definitely kill Shi Feng back to Level 0. Meanwhile, in a tree a short distance away, both Fire Dance and Water Buffalo had witnessed the entire scene from start to end. After they witnessed a team, composed of fifty elite players, fall into such a state, they were both utterly dumbfounded. Only now did Fire Dance and Water Buffalo know that there was actually such a battle style in G.o.d’s Domain! You're Read Reincarnation Of The Strongest Sword God Chapter 142 - Turnabout online at NovelOnlineFull.com. You can use the follow function to bookmark your favorite novel ( Only for registered users ). If you find any errors ( can't read,broken links, can't load photos, etc.. ), Please let us know so we can fix it as soon as possible. And when you start a conversation or debate about a certain topic with other people, please do not offend them just because you don't like their opinions. You're reading Reincarnation Of The Strongest Sword God. This manga has been translated by Updating. Author(s): Lucky Cat. Already has 6949 views. Current Time is 25-Apr-2019 13:58:31 PM.